Racers stand ready at the starting line of the annual Race Around the Lake at Silver Lake State Park. BARNARD — Both 5k and 10k options are available to racers (walkers and runners) participating in BarnArts Center for the Arts’ third annual Race Around the Lake May 22, beginning at 10:30 a.m. at Silver Lake State Park in Barnard. Fees for early registration are $30 for adults and $15 for youth 12 and under. Those who sign up before May 1 receive a free t-shirt. 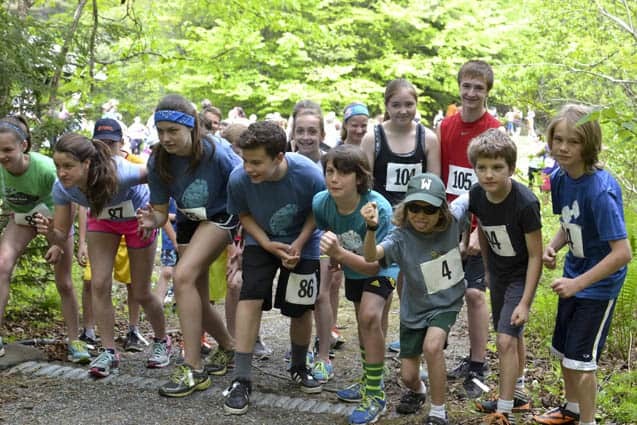 Again this year with the registration fee comes a complimentary lunch and live music, an awards ceremony and a free kids’ fun race along Silver Lake in Barnard. For more information and to sign up, visit the race page, runsignup.com/Race/Events/VT/Barnard/BarnArtsRaceAroundtheLake.